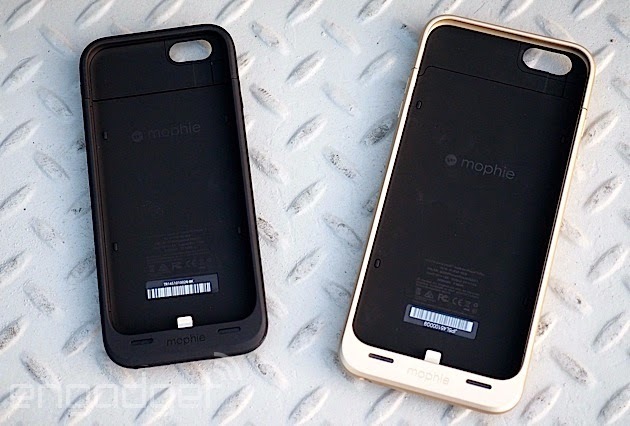 Well known with its charging packs and smartphone cases for Apple's devices, Mophie has announced three different battery cases for the latest iphones, the iPhone 6 Plus and the iPhone 6. The Juice Pack Air is the first one, it is designed for the iPhone 6 and it promises an extra 100 percent battery life, this one will cost you about $99.95, the second pack is the Juice Pack Plus, it is also for the iPhone 6 and it will provide you with an extra 120 percent of charge, it is a thicker case and will cost you the same price of $99.95. And finally the phablet-sized Juice Pack designed for the iPhone 6 Plus, this case is the thinnest phone case you can ever get, it will only ensure an extra 60 percent of charge, and it will cost you $119.95. All the three Mophie packs are now shock absorbent so you can preserve your new iPhones !